Here are the head wreaths that will be available for clients to use this year should they wish! Arenâ€™t they stunning?!? Our bunnies are SO very loved (spoiled, in fact) from the moment they come into our care until the moment they are adopted into capable families or returned to our breeder at the end of the season. As a family, weâ€™ve owned rabbits for years and are well-versed in the unique aspects of their care. Weâ€™ve communicated with and received approval from the Illinois Department of Agriculture for the use of live animals in these special sessions, and our business is fully licensed and properly insured for this event. We have a full-time bunny handler at each and every session whose one and only job is to make sure that our bunnies are treated well and handled gently. We also carefully rotate them so that the bunnies get lots of breaks! Our first priority is the animalsâ€™ well-being and comfort. 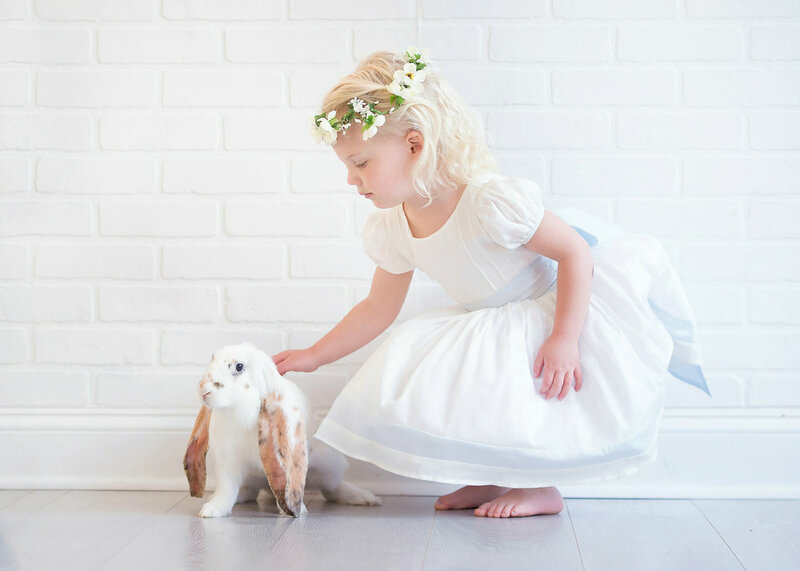 All bunny session clients are required to read and sign a release stating their understanding that there will be live animals at the shoot and, as with any animal, there is the potential for a scratch, bite, or allergic reaction. These rabbits are fully domesticated and handled often, but they are animals and we ask our clients to be aware and respectful of this. 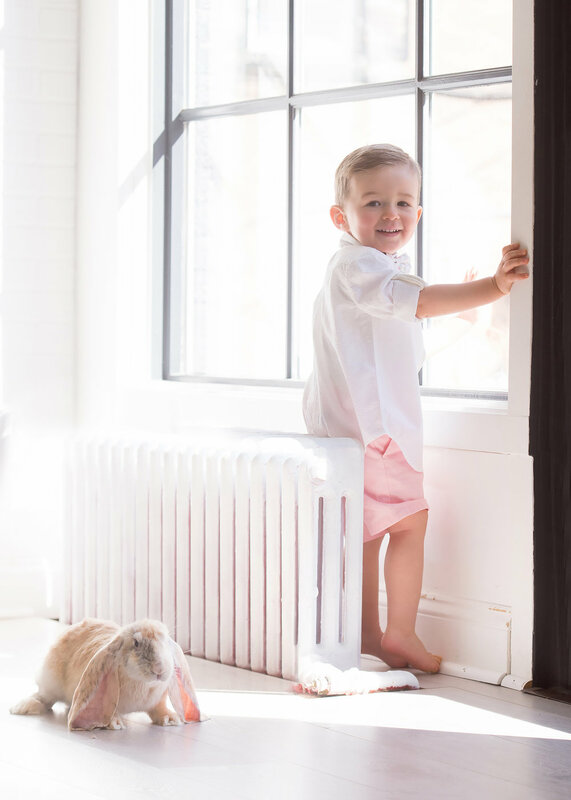 Bunny sessions are only for children, but siblings can all be photographed during the same session, individually and/or together. grab your bunny session here!